I have a few projects I’ve finished up recently like the Panther and StuH42 and they need a proper photograph. 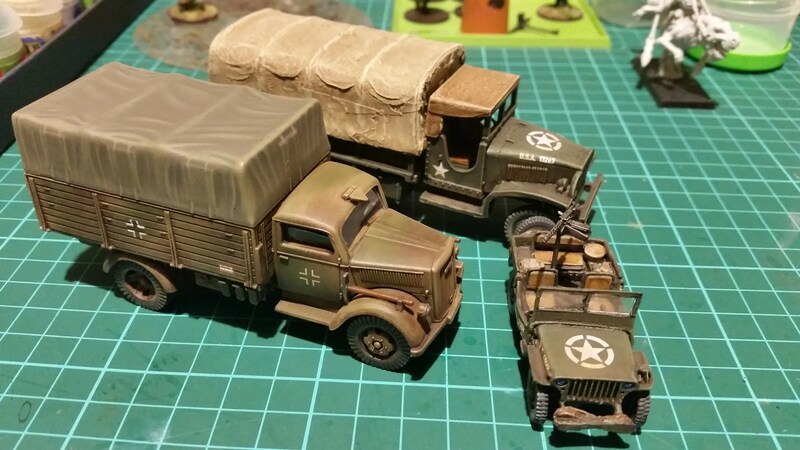 I’m currently working on some transports for Bolt Action and have a US Jeep, a US ‘Deuce and a half’, as well as a German 305 Opel Blitz. The jeep’s been made so the gunner and a choice of MMG or HMG are magnetic options so I can use it as a transport or as a gun vehicle. The Opel Blitz has custom cut windows in but I’ve not yet added the glass to the Deuce till after I’ve finished spraying. 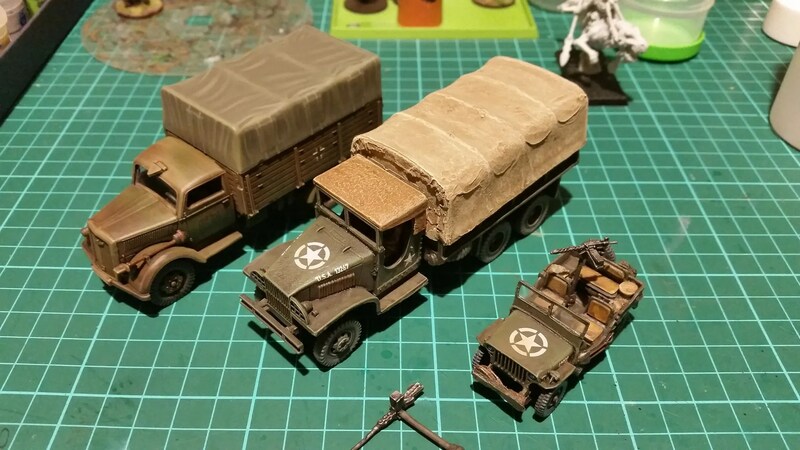 None of them are finished yet – they need a good coat of mud/weathering. Here’s a couple of pics from the mobile phone while they’re on the paint table.